I commented recently on how conservative and tradition-bound wine is. Wine is about nuance not large changes or dramatic shifts in style. Nevertheless, sometimes wine styles change, often massively. One example of a massive change in taste took place in the U.S. in the decades following WWII, where in the course of about twenty years American wine consumers changed their preference from sweet wine to dry. In the 1950’s and 60’s 70% of the wine sold in the U.S. was cheap, sweet and alcoholic. Yet, by 1978, 70% of the wine sold in the U.S. was dry or relatively dry table wine. How did such a revolution in taste occur in such a relatively short period of time? The short answer is we imported French traditions, spurred by improved transportation to Europe for American vacationers and soldiers returning from Europe who gained a taste for French wine and food. 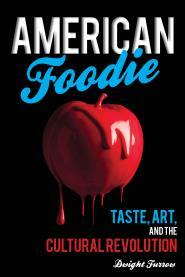 I’m working on a longer essay detailing how and why American tastes changed. 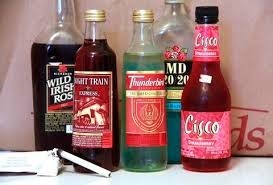 In researching what most Americans were drinking in the 1950’s and 60’s I came across some old friends—Thunderbird, Ripple, Richard’s Wild Irish Rose. Remember those? I would like to say the memories were fond but these wines weren’t for making memories. People called it “bum wine” because it’s what the winos drank. But really there were a lot of respectable people whose Saturday night tipple was soda pop with a monster kick.